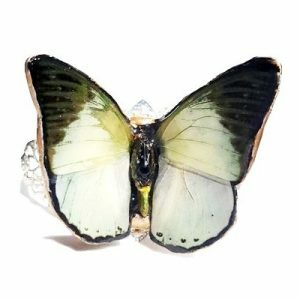 These real butterfly wing earrings are made with Charaxes Subornatus AKA Ornate Green butterfly. Butterfly died naturally on a farm after living about 3 weeks. 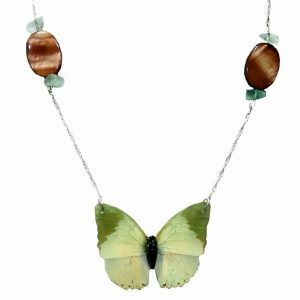 Purchases help save rainforest and threatened butterfly populations. These are one of our most popular earrings. Real butterfly wing earrings usally sell out fast. Wings coated in resin for longevity. 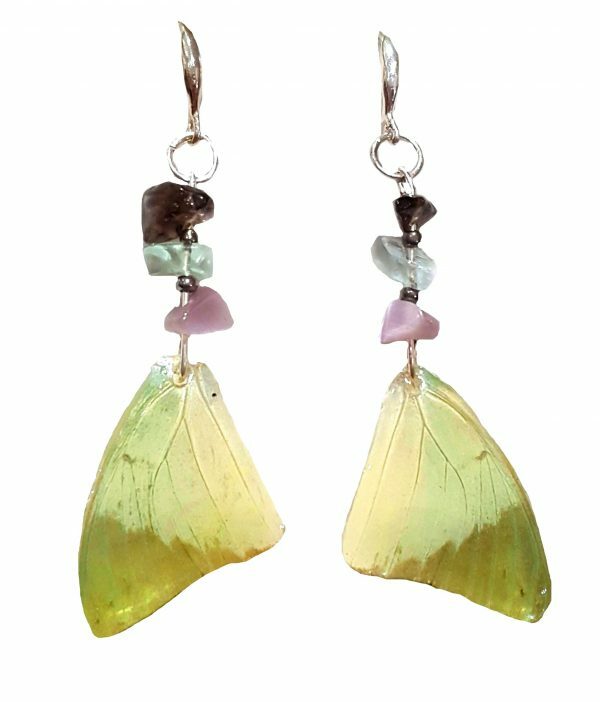 Real butterfly wing earrings will last lifetimes. 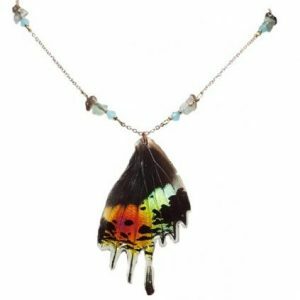 We have become the leading experts in real butterfly wing jewelry.